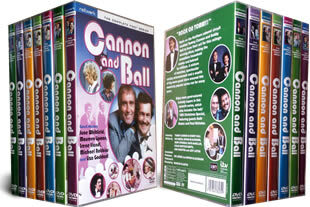 Cannon and Ball DVD box set. The complete 7 series on 12 dvd's. DELIVERED FREE IN THE UK. The complete seven series on 12 discs of the popular long-running ITV comedy series starring Bobby Cannon and Tommy Ball. With guest stars Maureen Lipman, June Whitfield, Diana Dors, Lulu, Irene Handl, Michael Robbins and Liza Goddard, David Essex, Bruce Forsyth and many more. I couldn't find this collection of DVD's anywhere so i was very happy to find them on this easy to use website. Great price. Delivery a little slower than stated but arrived well packaged. 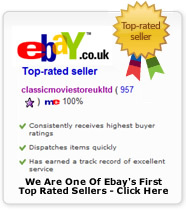 I would use ClassiceMoviestore again and i would recommend them to friends. Thank you.